This was our second time working with Prashila, this time as sellers. She has again been the absolutely perfect professional, always going beyond our expectations and excellent to work with. As sellers, our requirements were of course very different from what they were when we were buyers. Prashila guided us well through the entire process, whether it was timing the sale to be in the right window, getting the property ready, pricing it in the right range or calming our nerves after an open house. She was always available to answer our questions and helped us find the right professionals for repair/renovation work at the property. There were multiple times when our schedules did not permit us to be at the property while repair/renovation work was going on, but Prashila always made sure to show up and supervise, which turned out to be a huge help for us. Going beyond our expectations, she brought in fellow realtors and decorators to get feedback on the renovations, to ensure that the property would be attractive to buyers. She also guided us through the paperwork patiently, following up with both sides to ensure that all documentation was completed on time, and always kept us informed of the progress. We were able to get the property sold within our preferred time frame, at the price that we had asked for, and we fully credit it to Prashila's tenacity and hard work. For a client, there is no better realtor to work with than one who puts you first and foremost, and provides the personal touch in the work, and Prashila has been that realtor for us. After working with her on both sides of the realtor spectrum as a buyer's agent and a seller's agent, we would very highly recommend her to anyone looking to buy or sell a property. Prashila Sharma was recommended to us by a friend who bought a house from her. Choosing her as our realtor was best decision we made during our home buying process. She never pressured us to write an offer on any house we were not totally in love with. She understood our requirements that made the whole process easier. We not only wanted to find our perfect home but also the whole journey to be beautiful. She did justice to that. Being first time home buyers, we were confused about loan and escrow process, Prashila went above and beyond and literally helped us in each and every step. She is knowledgeable, honest, very professional and most hard working realtor. She is more like our family member now. We 100% recommend her to our friends to guide them during their home buying journey. 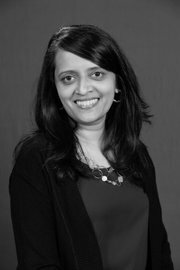 Prashila Sharma = Good vibes!” Thanks Prashila for finding the perfect home for us and we love it so much here! Prashila has been an absolute pleasure to work with. Our house hunting process took a long time as it was for our second home, and we were picky and willing to wait till the perfect one appeared in the market. Prashila was very patient and supportive through the entire process. She never wanted us to put in an offer on a property that we were not completely happy with. She was always accessible, always on time, understood our requirements very well and remained on the lookout for matches, and always went the extra length to find answers to questions we had. When we finally found the perfect house, she helped us write up an offer that we were comfortable with, making sure that we never felt pressured to step out of our comfort zone; in fact, at times, she stepped in as the tempering influence to ensure we didn’t get carried away to put in higher than what the market valued it. She did a lot of research, including comparables and opinions from fellow realtors. The negotiations were long, there were several back and forth, but she handled them brilliantly, and helped us ride the waters calmly. We really appreciate her tenacity, thorough professionalism, and the personal touch. Even after the house buying process was over, she has been helping us with finding professionals for repair work, and continuing to advise us along the way. We would highly recommend her to anyone who is planning to buy/sell a house. As a first time home buyers, we were really apprehensive about the whole home buying experience. In the end, we are really happy to work with Prashila Sharma, as she made the whole home buying process easy for us. She patiently worked with us to find our new home. She understood our unique requirements and tailored the searches for our needs. As a result we did not waste time on the houses not suited for us. What was important for us, was the fact that she always kept the best interest of us in mind, while working with the seller agent and was keenly conscious of the timelines to complete the paperwork. We’d gladly recommend her to anyone who is interested in buying homes in highly competitive San Diego market. I was a first time home buyer and started with a 1% back rebate company with a big name tag. A colleague of mine later referred me to Prashila and I was a bit reluctant in the beginning to reach out to her. It's been a month or two and I was no where near in finding a home at least closer to my expectations. I then reached out to Prashila and it was no turning back after that!! She is such a fabulous Realtor to work with and I never regret my decision for having her help me find our dream home! She is a true subject matter expert when it comes to proactively identifying your needs and guiding you through in every step of the intricate home owning process. She's become an intimate family friend of ours in no time and that further boosted our experience in working with her. She was very smart in figuring out what we, as an young couple, would need/love to have in our first home and totally customized our search based on our criteria. Unlike many realtors, she's for sure not some one who tries to sell you a home at a higher price in order to make a higher commission. I remember several instances when she cut down lowering my offer price and suggesting me the actual price the property is really worth. That alone tells how much she cares for her clients compared to paying more than the value of the house and get rebate back which actually is your money. She's super prompt when it comes to responding to email/phone/text which is utmost needed in the real estate market where people submit offers the very next minute a hot house shows up in the market. In fact, she helped us submit the offer on our current home within a couple hours it opened up in the market and persistently followed with the selling party until we owned our dream home! She not only was prudent about suggesting the correct offer price, but also played an impeccable role in negotiating on the terms of the offer. Finally, for all those home buyers out there (and even more so for the 1st timers like us), Prashila is the one stop shop if you DO NOT want to compromise on any single factor in owning your home sweet home!! My experience working with Prashila was exceptional. She was very encouraging and very determined that she would find me the house which will meet my requirements. She is friendly, hard working, and knowledgeable. She listens and understands her clients needs. Prashila found me a house where she knew I would be close to church, my family and will easily make friends. I am glad I met her. I will highly recommend Prashila Sharma to anyone in need of professional real estate assistance. Just when I was looking for a REALTOR I can trust, I was referred to Prashila by two other friends. It was not easy to find the right property but she didn't let me settle until I found the right one for which it took us about 6 months. It has been a great experience working with her and would definitely recommend Prashila to my friends and family. We would like to recommend real estate agent Prashila Sharma. Recently, she helped us during our purchase of house in Pacific Highlands ranch. She is very diligent, sincere and knowledgeable in the real estate markets of Scripps ranch/4s ranch and Carmel valley areas. During our tours of potential homes, she was always willing to offer her assistance to understand the positive aspects of the home as well as pointing out what might not be the most conducive aspects for our family needs. She very carefully understood our needs so that she could show us the properties that would best fit us. She was very punctual and prompt during the whole process which lasted several months. We would gladly recommend her for your real estate needs.